TOYS, TOYS, TOYS! Play Time for Pup. Well, I see that Luther has been helping himself to posting blogs and writing on some of the pages here at Paw Paw’s Kitchen – and posting his opinions to boot! I guess he has a lot to bark on about. I figure I should help him eLABorate! Well, today it’s my turn. I see he hasn’t shared his favorite toys with you yet. As you know from his previous writings under “Wellness” he talks about the importance and benefits of play. Today, we’re going to look at some of his favorite toys. Click on any of my toys for more information! HAVE FUN!! Man, oh man. This is it right here. Luther is 1/2 Yellow Lab and 1/2 Shepherd. He is a heavy chewer (just ask my furniture). I’ve literally had this ball for months and it still looks brand new. It’s been great exercise for him. When you throw it, all the nobbly’s make it bounce wildly in all directions. He gets tired out pretty fast and what’s really fun is watching him speed and change directions trying to get the darn thing. So much fun for so little money. I decided that most of his toys will need to be replaced at one time or another. This one is affordable and FUN FUN FUN!! Virtually indestructible. If you don’t have one, get one. I’m still using the same one from my previous fur baby who just recently passed away. This one has been handed down, but I’m planning on getting another bigger one! I’m going to keep Luther’s smaller one in the house for playtimes. He’s a power chewer and this KONG has helped to keep him occupied and appropriate. I’ll be getting a bigger one that I’ll stuff with goodies for outside! Look for KONG stuffing recipes to come soon! Luther is also a power-digger, big time. I call him my little backhoe. To keep him busy I stuff his Kong with peanut butter and dog kibble (freeze it), then let him take it outside. It keeps him occupied for a very long time and I have less holes in my yard to fill. 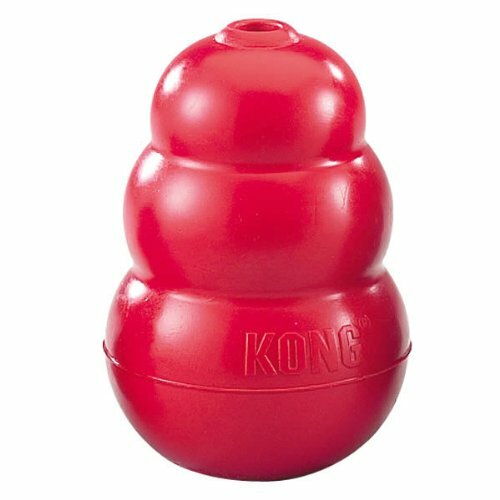 This cool toys comes in a bunch of different sizes, so your chewer – no matter what size can have a ball with this KONG. I love that name – it’s truly “King” of toys. LOL! Ok. I know you see a pattern here on Luther’s favorite toys. But I have to admit, they’re MY favorite toys too. 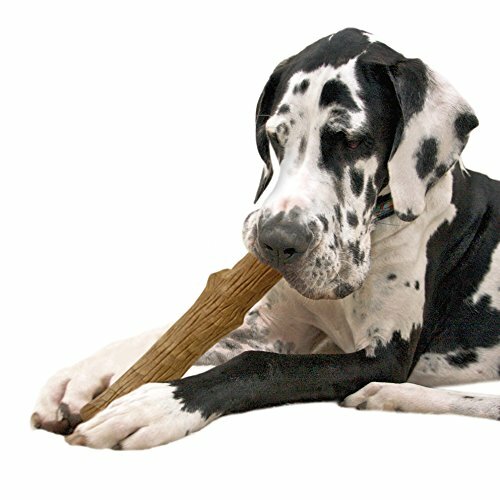 If you have an over active, over achiever pup or full grown dog at home, you know how challenging they can be. I love this three-pack. 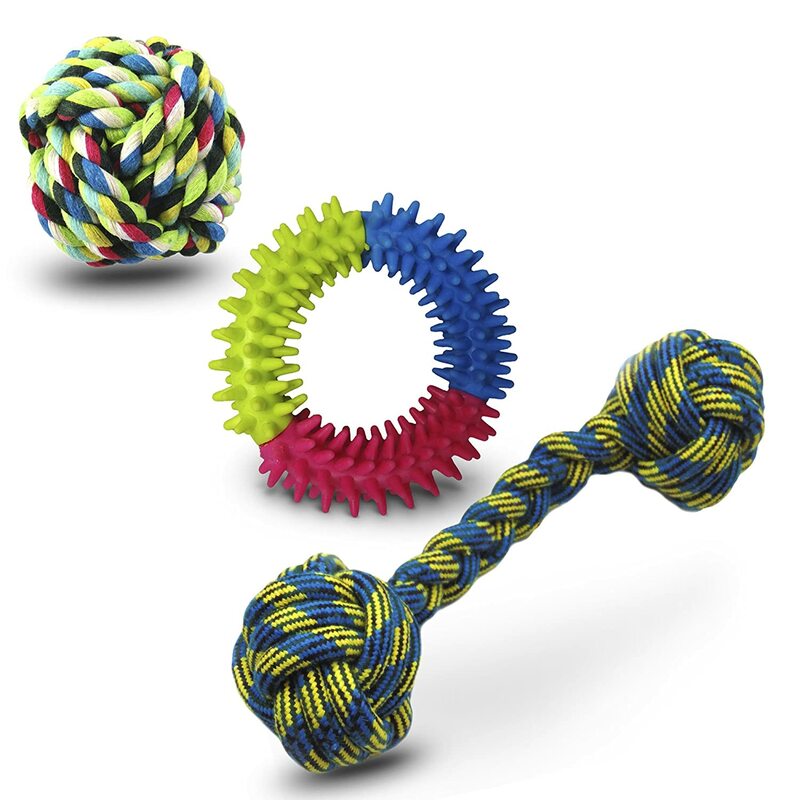 However, depending on what type of chewer and grinder you have, you might want to supervise with the rope ball and rope bone. Sometime the threads can come loose – it can become an issue because you don’t want them eating the threads. Make sure you want to watch the condition of your babes toys and replace them when they become raggedy. But still…this has been a great 3 pack system. Remember — don’t give your pet all of their toys at the same time. Give them one (or a couple) – then switch them out. 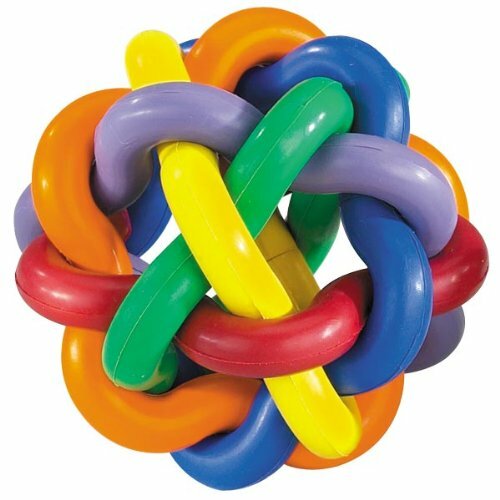 This helps them from becoming bored with their toys, and keeps the mind sharp! Yep! This is a good one. 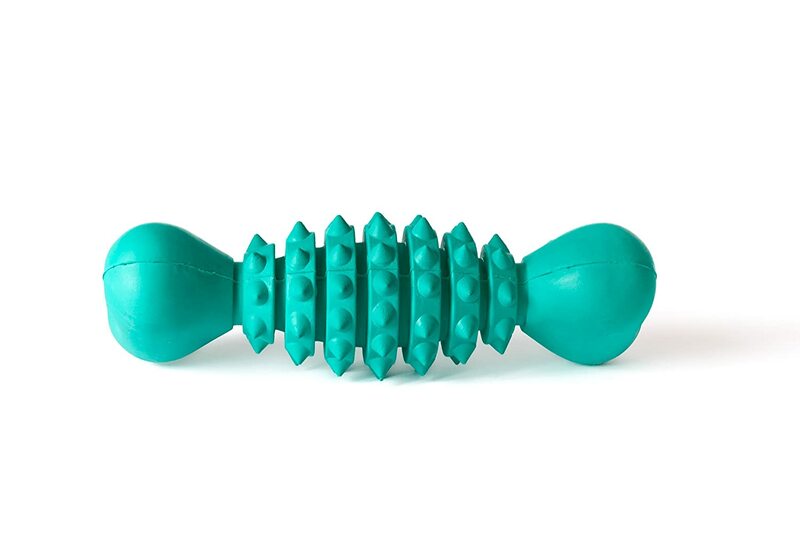 You get two benefits from this toy. 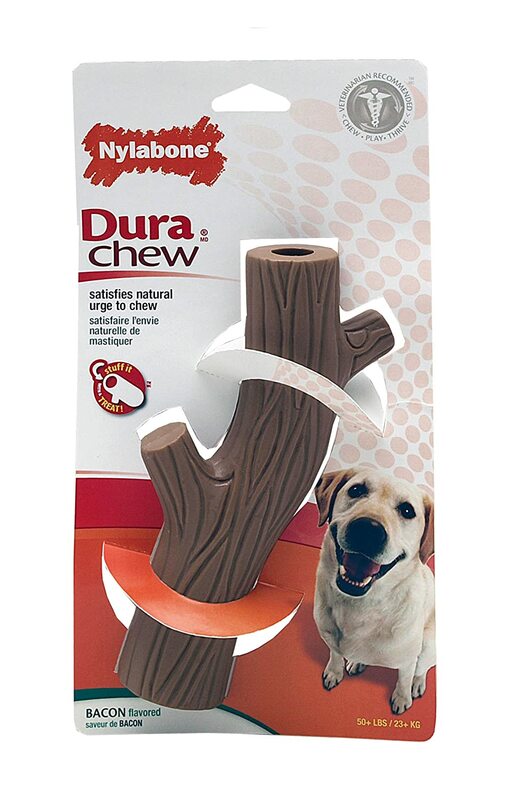 It’s great for tough chewers AND helps keep their teeth clean. I usually give Luther this one when we leave the house. It’s his special toy only for when we are gone. When we get back, we put it up. This toy also scores high for customer satisfaction for a reason! It’s fun to throw and bounces all over the place. AH YES! Luther’s all time favorite. He also only gets this one when we leave the house. It’s the smaller size. He actually ignores my furniture when he has this one. BONUS! 🙂 He loves to chew sticks and branches out in the yard. Unfortunately, he also eats them, then vomits the wood back up – usually when he’s in the house and on my light tan carpet (true story). Because of his love for tree branches we thought we’d try it AND HE LOVES IT! We alternate between this one and the Power Chomper when we leave the house. Both of these toys have been a Godsend. Just say NO to real sticks? Aww, dang! This is a big one – but it mimic’s the branches he steals from my wood shed. It’s the perfect size! When he has this one, he runs and runs and runs. You know what that means? When he comes in, he’s tired…and takes a much needed nap. Spoiled you say? We say…he’s not spoiled – We’re just well trained! Well, that sums it up. Now, I know what you’re thinking. I’ve spoiled my Luther rotten with all of these toys. True, true. But he’s worth it. And besides…it’s nothing compared to the amount of toys I’ve bought the grandkids over the years. GEE WHIZ. I figure I could have a small fortune saved with all the toy paraphernalia I’ve bought. But you know what? I wouldn’t change any of it. I give to my little lovies those things that soothe the soul (and energy) and I think I did a great job. Not to much, not too little. Now that our grandkids are darn near grown, I tell you, I wouldn’t change a thing. As for Luther? The great part about him – is he will always stay a puppy at heart. Now, ain’t that lucky? Peace to you…and make it a great day!